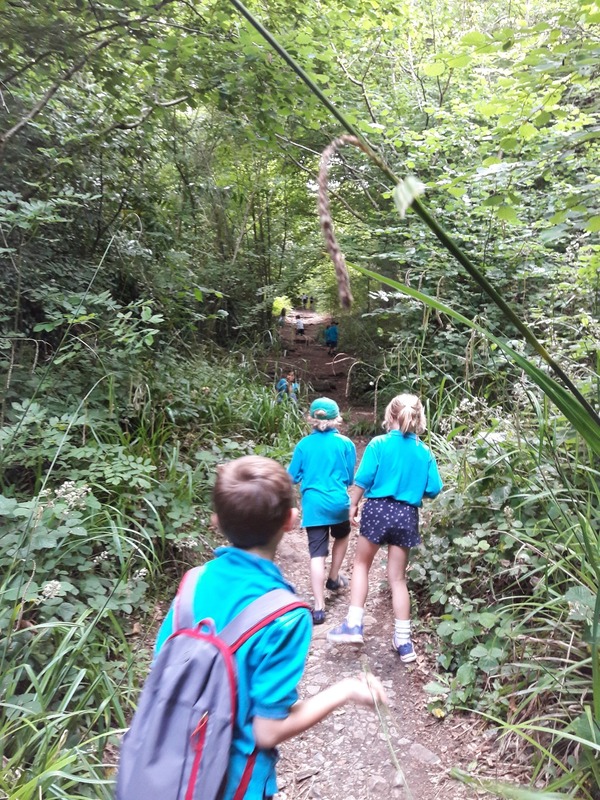 In July, the 1st Bishopston Beaver Scout Colony challenged themselves to walk a combined distance of 5,895 meters - the height Mount of Kilimanjaro - by climbing the hill at Blaise Castle estate, finishing at the castle, to raise vital funds for Children’s Hospice South West (CHSW). To complete the Mount Kilimanjaro challenge at least 20 people were needed to walk up the hill along with siblings and parents. Olly, CHSW’s Community Fundraiser, came to support the Beavers (aged 6-8 years) and tell the children about CHSW’s local hospice, Charlton Farm. The Beaver Scouts have raised £300 for CHSW towards its work with children with life-limiting conditions and their families. The walk was the third fundraising event they’d participated in for CHSW over the year; previously they’d held cake sales where the Beavers made crispy chocolate cakes, biscuits and rocky road and sold them at a local church and at their scout group AGM. Earlier in the year The Beavers made a collection of their unwanted toys and books and donated them to the CHSW charity shop and made Christmas cards to send to Charlton Farm.